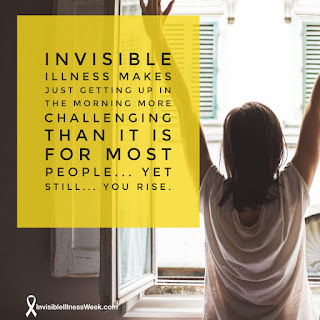 September 26 - October 2 is Invisible Illness Week. And I'm a little late to the party but I wanted to share a little bit about my personal battle with an invisible, chronic illness. June 2006. I was halfway through Year 12. Learning to live with pain, but not let it control what I chose to do. That I'm too young for arthritis. Waking up with something different hurting. And then getting out of bed and stumbling to the shower. Grey's Anatomy. 13th season and still going... I kind of got to the point where I just have to keep watching it now. Laptop. Essential for my study. I can't handwrite for long, but I can type for hours (usually). Trying to wind down and shut off my mind. Plaquenil, twice a day. Adalimumab (humira) injections once a fortnight. Variety of supplements. Pain medications - anything from over the counter to opioids. I generally have a fairly well stocked personal pharmacy in my handbag at all times. Am relatively open minded. As long as it doesn't include the word "cure". I have an autoimmune condition. You can't cure it. I'm currently interested in how diet can influence autoimmune conditions by way of the gut and am researching The Autoimmune Protocol. I intend to do another post about this shortly as I know it will raise a lot of questions if/when I decide to commence the elimination phase. Visible. But my answer may chance depending on the day. It just seems that would eliminate the feeling of needing to justify and explain yourself all the time. I'm lucky enough that I am well enough to perform my chosen career. I'm a nurse, and a midwife, and an ongoing student (currently undertaking a Graduate Certificate and a Masters). My decision to work in a day surgery unit (although I do love it!) 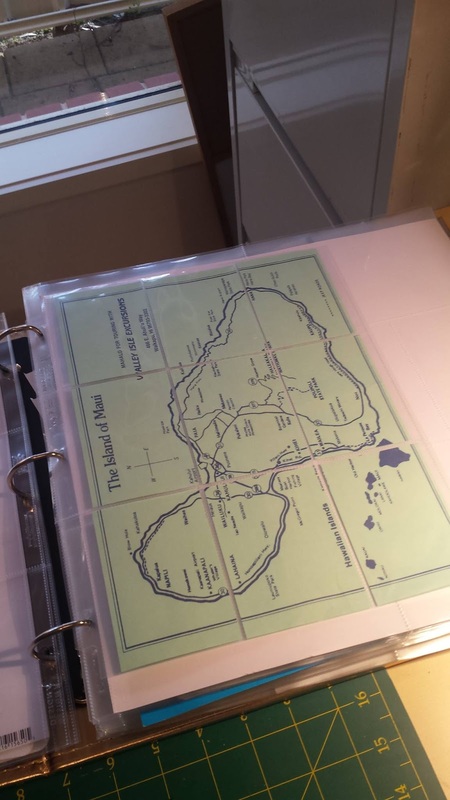 was initially bought on by my knowledge I would not be able to handle a heavy medical ward. I have a strong focus for education and aim to teach at a tertiary level one day. Again, this has been influenced by the knowledge that I won't be able to work clinically forever. I also don't work full time. Shift work is tedious enough, but throw in an autoimmune condition and it really can cause havoc. Hmm, this is a tough one. One thing that does spring to mind though is that I have been told my numerous orthopaedic doctors that I need shoulder replacements. But I am too young. So I just have to deal with it until I hit some magic age where they will do it. More specifically: climb Mt Kosciuscko, in well under the estimated time frame. That may have sprung to mind so quickly because I've been looking at photos from our trip in 2014. Exercising without fear. When I was diagnosed, I was doing and coaching gymnastics as well as playing water polo. I was never a huge sports fanatic but I did move. Immediately after I was diagnosed, the fear was put into me by a less than amazing rheumatologist and I basically stopped everything. Down the track, I realised how important exercising and staying moving actually is but it is hard to start back up again when you've stopped. I walk, I swim sometimes, do body weight exercises, yoga, pilates etc. But nothing too intense. We hike up hills sometimes but I am always cautious and worried that every bit of pain might be joint related and cause me grief later, when actually, it's probably just good old muscle pain. At the time, coaching gymnastics. I absolutely loved coaching and teaching the little ones especially. And the friendships I'd made while coaching the teens/young adults have faded over the years (as they likely would have anyway - that happens!). But when it became near impossible for me to even do a tuck jump or a forward roll, I knew I'd reached my limit, so I let it go. To be patient. And not take anything for granted. I understand people are trying to be helpful and that rheumatoid arthritis is not a condition everyone knows about. People hear the word "arthritis" and relate it to what their grandmother has, or what they get in their little finger sometimes. Glucosamine is used as a supplement in people with osteoarthritis to help build joint cartilage. Osteoarthritis is a condition where there is a deficit in cartilage, so this helps. RA is an autoimmune condition. My immune system attacks my joint cartilage. Glucosamine would help develop more cartilage, which my immune system would then react to and attack. Thereby causing a "flare". Fish oil and turmeric on the other hand, are beneficial supplements and I do take those. Understand. Or even just try to understand. Coffee instead of a walk because I can't handle it on the day. A sympathetic text after I called in sick for a shift. Those kind of things. Take your medications. For sure, research alternative therapies. But take your meds in the meantime. You can always wean off them if the alternative therapies are helping. I was diagnosed when I was 17 and after an extreme allergic reaction to my first medication, and a bout of weight loss and decreased appetite with my second, I became a little rebellious. And I assure you, that is what has caused such bad damage to my joints, especially my shoulders. Thanks for taking the time to read this. If anyone has any questions or topics they would like more info on, please feel free to let me know by leaving a comment. Almost a quarter of the way there! This week, I pulled out the Blae and Ivy collection from July 2011. Just like the last collection, I have a fair bit left but I was starting to get a bit "over it". I teamed this collection with Bluebell, Moss and Smoke coloured Kaiser cardstock. And a touch of Kaiser cream lace on a couple. The background stamp used on the birthday card is by My Sentiments Exactly (word blocks) and the sympathy stamp is from Hero Arts (remember). The next collection I decided to play with was inspired by the fact it was Father's Day last weekend and I needed a couple of cards! I chose Velvet Ensemble which was from 5 years ago... May/June 2011 I believe. I have SO MUCH of this collection left. I've made seven cards and decided to move on to another collection but I will definitely be revisiting it before it goes in the donate/bin pile. Other than the Father's Day ones, these are all sentiment free. They'll likely become male birthday cards when I need them. Again, I've just used the collection and some Kaisercraft cardstock (licorice, burgundy and duck egg I believe). I wasn't a fan of the Duck Egg so I only made one with that. 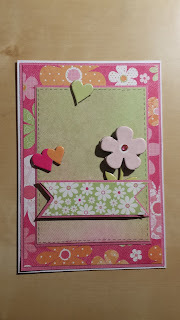 I'm trying to use up some of my colours, I tend to stick to very neutral cardstock when I am making cards. The sentiment stamp was the Kaisercraft Mini Stamp: Occasions. As I said in my last post, I am undertaking the 100 Days Project this year. You can see my daily updates on the website here, but I will warn you I'm not uploading every day. In the matter of being truthful, I'm not necessarily creating one every day either. But I will have 100 at the end. I play catch up on my days off if I've missed one or two during the week. 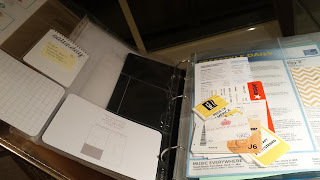 A little while back, I decided to put all my "older" Kaiser collections in a separate organiser to the rest. 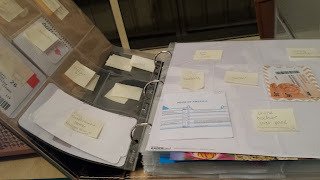 The way I divided them was basically, 6" paper pads were old, 6.5" paper pads were newer. The idea of that box was that I would use it up in the first instance before moving onto newer things. I cut all the 12" paper down to 6" squares, put all the co-ordinating embellishments etc in zip lock bags, and stored them away. And have barely touched it since. So that is one of the outcomes I hope to achieve from this challenge. I want to use up my stash, and build up my card stash. The aim is to make as many cards as I can from each collection, or until I lose motivation for that collection, before I move onto the next. Then, the remainder will either be binned (tiny scraps) or donated. I have a couple of friends with toddlers, and another who works in a kindy, so I intend to share the love. 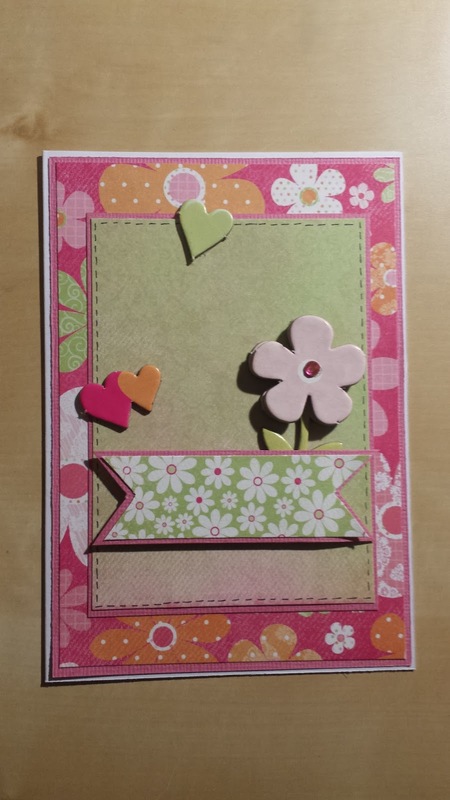 The first collection I dived into was Kaisercraft's Candy Lane collection. This collection was released in October 2012. This range shouts "birthday" and "girl" so I stuck fairly closely to that theme. I have the occasional card with no sentiment yet, and I have done that so they are more versatile for when I need them (as I explained in my previous post). 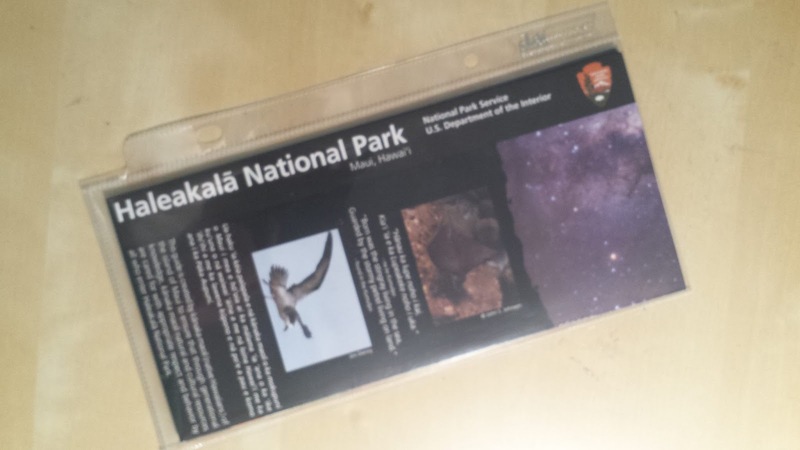 I'm not spending much time worrying about the photo quality of these cards. For now, it's just about snapping a pic and uploading it. Most are taken with my phone. I try and wait until the sun is shinning so they are a bit better. If I decided to upload these cards to my facebook page for sale, I will take better photos at that time. I'm also not going to bother much about explaining the products used etc as they are likely all ancient! Primarily though, these cards will just be the relevant collection, coordinating Kaisercraft cardstock, minimal embellishments and a sentiment stamp. Feel free to leave a comment if you want to know the exact details of anything. Well hello there blogging world! It's been a while... I could list the excuses but I won't bore you, I'm just going to jump straight back into sharing my creations. A couple of weeks ago, I heard of this project called the 100 Days Project. The whole aim is to pick one creative thing, and do it for 100 days straight. Between work, study and life, I haven't had much chance to get creative lately (there's those excuses!) and I've been feeling like the only time I step into my craft space is to make a quick card as we're rushing out the door to a birthday, wedding etc etc. I also have a ridiculous amount of stash built up and I'm determined to clear it out. I have a large CTMH organiser taking up a whole cube in my expedit and it's full of "old" paper pads. I think I listed them all about two years ago and said I'd aim to make as many cards as I could from them, and then either ditch or donate the leftovers if they were worth it. In fact, I think I've promised them to a friend who runs a kindergarten. My 100 Days Project is to make a card each day for 100 days. It starts today (August 24th) and goes through to December 1st. I'm planning on using the first 60 or so days to use up my stash, and then the last month I'll dedicate it to making Christmas cards so I'm not making last minute ones on Christmas Eve (or not giving cards at all - last year's problem!). You can follow along with my progress each day (hopefully!) on the website, and then I will aim to update my blog once a week with a montage. Most of my cards will be sentiment free as that was another idea I had. I seem to have a huge stash of "thinking of you" cards but no "birthday" cards. And if it wasn't for the sentiment, the card would be perfect for either occasion. So I've decided to build up my stash with sentiment free cards, and just leave a piece of paper to stamp a sentiment on at the last minute when the card is needed. Materials Used: Kaisercraft Candy Lane Collection: 6" Paper Pad and chipboard embellishments; Kaisercraft Cardstock (Bubblegum), rectangle card base, black sharpie. I've also been getting back into the pocket page scrapbooking. It's a bit sad really, but I haven't documented any of the last 2 years - our engagement, wedding, new house, honeymoon, married life etc etc. My last page is April 2014. I guess when we got engaged in June 2014, the wedding planning and house hunting took over and the crafting fell to the wayside. But I am trying to get back into it and thought I'd start with our honeymoon to Hawaii in August 2015. I've set myself a bit of a plan and am slowly working through it. I ummed and ahhed for a while about what size to do (6" x 8", 6" x 12", 12" x 12"...). I decided the 6x8 seemed too small, especially for memorabilia, and the 6x12 seemed to inaccessible here in Australia. So I've gone with a 12x12. For now, I think I'm going to stick them in the back of the (not yet made) engagement and wedding album, but one day, I might move them to a travel album. Who cares really, as long as it's done and documented somewhere! I've sorted through all the memorabilia and now I'm in the process of planning out the albums in a rough sense. I want to get an idea of which photos I'll print at 4x6 and 3x4, and if I'm going to crop any smaller or make collages etc. So that's where I'm at now. I've also begun learning how to use my fuse tool and am having fun making little pockets for pamphlets etc with that. So that's where I'm at right now with my crafting. 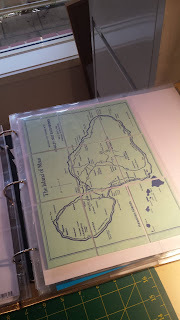 As I said before, I'll try and check in each week and update you on my 100 Days Project, and I look forward to sharing a bit more of my Hawaii album when I start getting photos in there. 27 years old. Newly married. Card maker and project lifer. Blogging about crafts and life in general.